ASHEVILLE, NC – Park close to the center of Bele Chere activities and help out Special Olympics at the same time. Park in the Health Center Parking lot at 35 Woodfin Street (outside only), for only $5 and 100% of the proceeds will benefit Special Olympics Buncombe County. You can also park at Graybar Electric on Hilliard Street near the Orange Peel for $5 and half of the proceeds will benefit Special Olympics Buncombe County. No parking will be available on Sunday at Graybar. Sunday, July 31 (12:30 – 3 p.m.) Please Note: No parking @ Graybar on Sunday. For more information, contact Grace Young at (828) 250-4260 or email her at [email protected]. 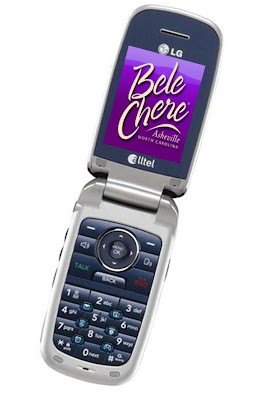 ASHEVILLE, NC – Get the latest in Bele Chere information right to your phone! Opt in to receive Bele Chere Text Alerts, sponsored by U.S Cellular. Just text “ALERT” to 99693 today! ASHEVILLE, NC – It is important to note that dogs and animals are not permitted with the Bele Chere festival boundaries. This rule will be strictly enforced. Please make arrangements to leave pets at home or to drop them off at the Chain Free Asheville Doggy Jail where they will have a cool and relaxing stay while you stroll around the festival. Bele Chere is partnering with local non profit, Chain Free Asheville, to provide a dog sitting service for a nominal fee during the festival hours. The “Doggy Jail” will be located between City Hall and the Court House at 70 Court Plaza, right outside of the festival footprint. ASHEVILLE, NC – Although the actual Bele Chere footprint has been a little scaled back this year, the amount of fun and festivities remains the same. New to Bele Chere this year will be the participation of the Asheville Civic Center which will host the Food Lion Children’s Area and the Senior Oasis. 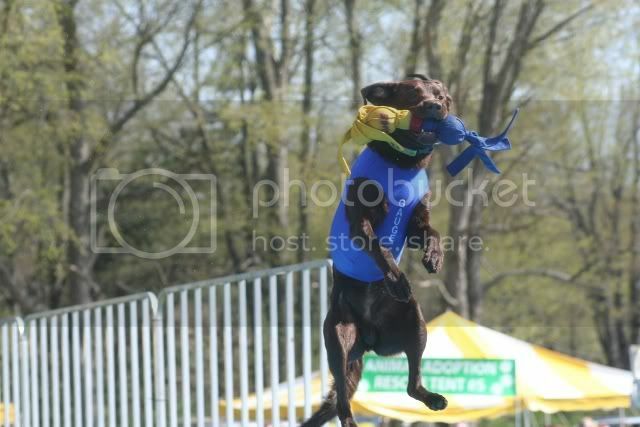 ASHEVILLE, NC – One of the premier dock jumping organizations in the country, ULTIMATE AIR DOGS puts on professional events that draw in thousands of spectators while maintaining a family friendly atmosphere. The shows will take place during the Bele Chere Festival next to the BB&T Building on the corner of College St. and Lexington Ave.
‘Ultimate Air Dogs’ started as a grassroots Michigan dock jumping club, striving to make every single participant feel important, from the smallest Novice jumper to the biggest Ultimate high flyer! That is why the Divisional Finals was created where the top 5 dogs from each division are invited to compete in a Grand Finale! Another way that we put the dog first, is by providing more open dock time than any other organization. Whenever possible participants will be able to practice. If dogs are having difficulty learning, a crew of volunteers will often provide free help between activities. Every Ultimate Air Dog is equally special. All mixes and breeds are welcome! ASHEVILLE, NC – The City of Asheville will provide continuous express shuttle service and free parking for Bele Chere, July 24 – 26. To use these services, attendees should park at one of two designated locations and look for the Bele Chere booth selling shuttle tickets. The shuttle will transport people downtown, relieving the hassles associated with finding parking and dealing with traffic. The cost for the shuttle is $2 round trip. – Parking location: Use the K-Mart parking area, northeast corner of Patton Avenue (US-19/US-23/US-74) and Louisiana Avenue. – Downtown pick-up/drop-off location: At the Civic Center, the corner of Haywood Street and Flint Street. – Parking location: Use the Asheville Mall parking area in the back near the Sears Department Store near White Pine Drive. 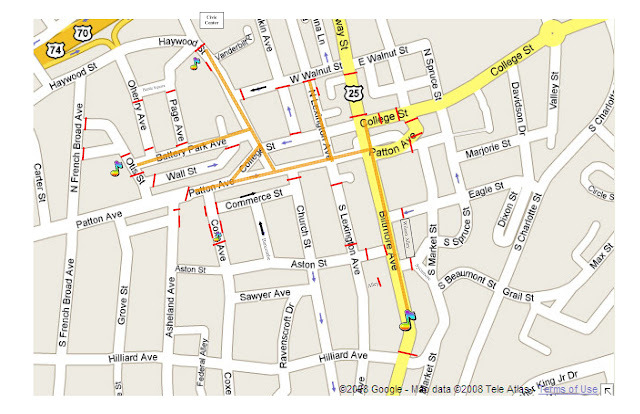 – Downtown pick-up/drop-off location: At the corner of Market Street and College Street in City/County Plaza. The shuttles will run Friday, 11:30 a.m. – 11 p.m.; Saturday, 9:30 a.m. – 11 p.m., and; Sunday, 11:30 a.m. – 7 p.m.
For more information, contact 253-5691 or visit http://www.belecherefestival.com/. ASHEVILLE, NC – Get out of the Heat on the Streets and cool off in The Venue, Asheville’s newest full service event facility. Drinks and food will be for sale and the sounds of the Caribbean Cowboys will be playing all weekend long. A new Event Facility located in the center of downtown Asheville, the Venue offers a specious floor plan of 13,000 + sq feet, with three unique sections. Each section has private entrances – The Market Street level, the Mezzanine and The Second floor with a beautiful balcony area overlooking the mountains of Asheville. “The Venue” offers a variety of services, from rental of china, in-house floral designers to catering services. However, the client has the flexibility to select vendors of their choice. Whether “The Venue” is needed for a Ceremony, a Reception, a Conference or a Private Celebration, the Venue is committed to orchestrate the function with finesse, attention to detail, and excellence in service. ASHEVILLE, NC – The crown jewel of the Western North Carolina road racing scene will be back back for its 30th consecutive running on July 25 this year. The Bele Chere 5K is hosted by the Asheville Track Club and presented by Southcliff. Once again the race will be headquartered at historic McCormick Field. The course represents what running in Asheville is all about: a few moderate climbs, a few fast downhills and friendly people to cheer you on at the race. The race will finish two blocks from the stadium so it is just a short walk for post-race refreshments – courtesy of Citi Stop and Dunkin Donuts – the finish of the Asheville Tourists Fun Run and the awards ceremony. Face fees are $25 for entries received after July 18 and on the day of the race. Asheville Track Club members receive a $3 discount for the 5K. The fee for the Fun Run is $7 for everyone. $2 from each 5K entry will be donated equally to the Asheville Track Club’s shoe program and the Association for Retarded Citizens. Registration can be done on-line at www.setupevents.com until Wednesday, July 24th at 10 p.m. or by completing the paper entry form. Military units, middle and high school teams, youth camps and youth running clubs may register for $15 each if 5 or more runners register from a single organization. Individual entries must be submitted together in a single envelope by July 19 to receive the discount. On-line registration is not available for group entries. for. We will still be offering a mix of free crafts and activities as well as ticketed rides. Programming of the children’s area is still in the works- please check the bele chere website often for updates. Bele Chere offers a Non profit Children’s Partner program to Western Carolina non profit 501-C3 agencies. In exchange for running an activity in the Children’s Area, organizations are given the opportunity to distribute information about the mission of the organization. Please click here for an application and more information regarding this opportunity. You are currently browsing the archives for the bele chere category.